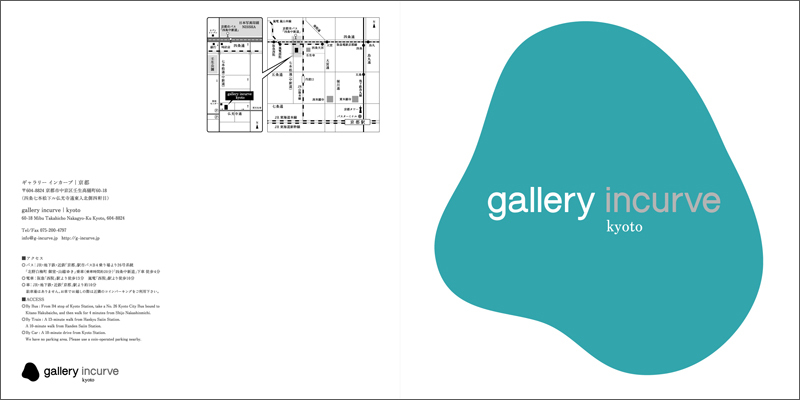 In the early summer of 2010, gallery incurve kyoto starts as a gallery that is exclusive to atelier incurve. 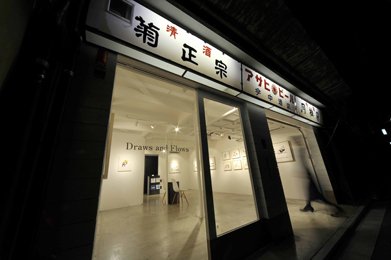 The very first exhibition Draws and Flows is curated by Takahiro Okazawa, the designer of his own apparel brands "Cycle" and "CLS." 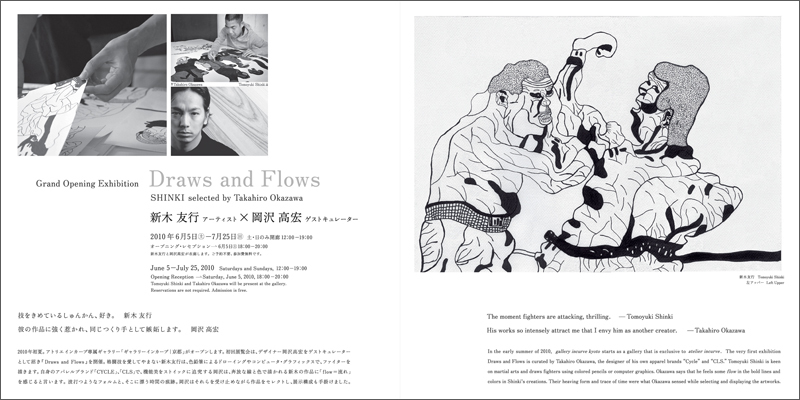 Tomoyuki Shink is keen on martial arts and draws fighters using color pencils or computer graphics. 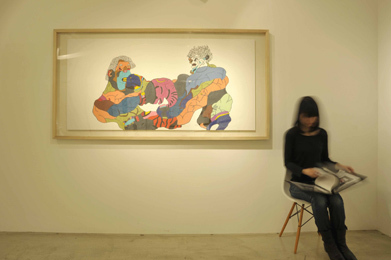 Okazawa says that he feels some flow in the bold lines and colors in Shinki's creations. 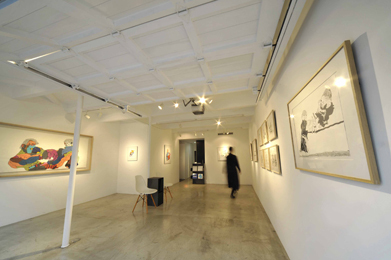 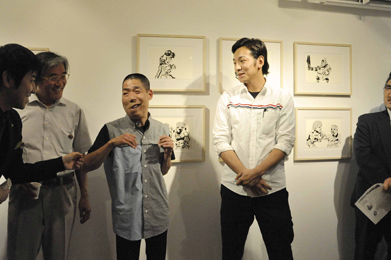 Their heaving form and trace of time were what Okazawa sensed while selecting and displaying the artworks.